During the course of most marriages, a husband and wife will establish a standard of living with the expectation that they will be together forever. This is part of what makes a divorce so heart-wrenching: It can throw all your future plans into disarray. But you’re not alone: More than 800,000 couples divorced in 2014, according to the Centers for Disease and Prevention’s National Vital Statistics System – and chances are, most of those people were left wondering what they were going to do next. For this reason, courts in Arizona will consider whether or not to order your former partner to pay you some form of alimony, or maintenance, after the divorce is finalized. Recognizing that your life has been altered by the separation, your divorce judge will decide whether it is fair that you are financially supported, and how much money you would require. You can also learn more about divorce laws and how alimony works in Arizona by visiting USAttorneys.com. How Do You Know If You Qualify for Spousal Support – and How Much Are You Entitled To? The Arizona Department of Health Services recorded more than 24,000 divorces in 2015, compared to 40,000 marriages. This means that more than half of all marriages in the state end before “death do us part” – leaving many people derailed and in need of support. In Arizona, alimony is known as spousal support. 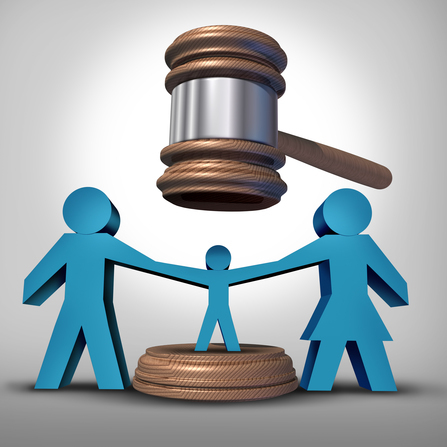 As with most other factors in your divorce, it is possible that you and your spouse will agree on the terms without the need to argue your case in front of a court, but if you can’t, a judge will make a ruling according to the law. Do you lack the property to provide for your needs? Are you able to support yourself through employment? What is your earning ability in the current market? Are you the custodian of a child or children? Have you ever contributed to the education of your spouse? Are you too old to find adequate work? And the extent to which you put your career on hold to help your spouse succeed. These are complicated arguments to make, and it is in your interests to get in touch with an experienced attorney who can help you present your case. To ensure your application for alimony is successful and that you receive fair compensation, contact an experienced family lawyer from the Zachary Law Group, P.L.C. to discuss your case. Steven Zachary is a Chandler divorce attorney who will answer your questions about child custody, prenuptial and postnuptial agreements, alimony and other aspects of family law. Call 480-389-3533 to schedule a free case evaluation.